Sheffield United 1 Scunthorpe 1, 18/02/2017. Bramall Lane, League One. Sheffield United was formed in 1889 as an offshoot of Sheffield United Cricket Club. The club have played their home games at Bramall Lane since their formation in 1889. 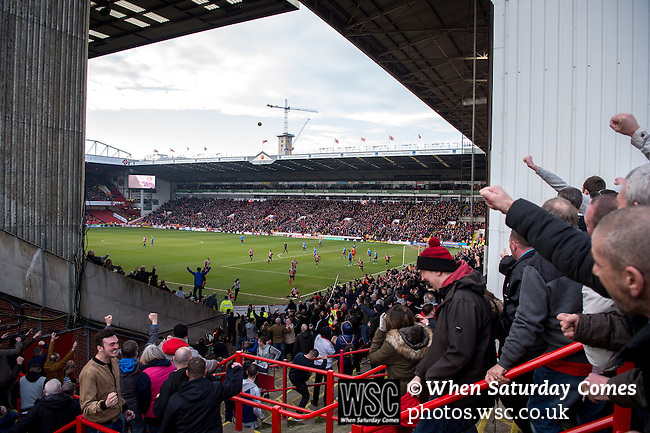 The match ended in a 1-1 draw between the two promotion rivals watched by an attendance of 27,980. Photo by Simon Gill.